The Head Pastor of Holy Cross Lutheran Church approached me and asked if I could do a project for an unconventional idea. Being a person who always looks for exciting and challenging projects I agreed. 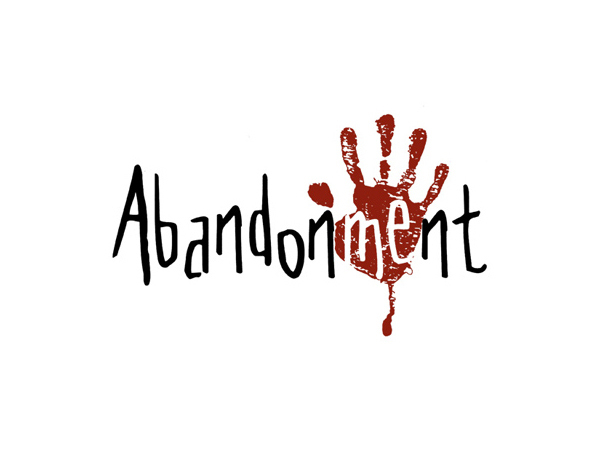 Abandonment was a Sunday night "coffee house" style service with a target audience of teenagers and 20 somethings. He told me the idea was that in order to be a Christian one must abandon themselves and apply Jesus' teaching in their lives. As I worked through the process of developing the branding several appropriate ideas surfaced but this one in particular kept rising to the top. From the beginning, the client wanted to avoid obvious christian symbology, however he did want to emphasize the message and sacrifice of Jesus. This piece was submitted that same year to the annual ADDY Awards competition and won first place (gold medal) for logo design out of 88 entries.